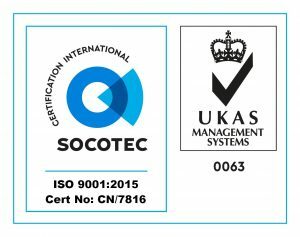 As part of the ISO system we regularly audit individual processes and the Quality Management System itself for effectiveness which allows us to facilitate continual improvement and ensures that we stay one step ahead of our competitors. ESPRAT are also an OHSAS 18001 and Bizsafe Star accredited organisation which is the internationally accepted method of assessing and auditing occupational health and saftey management systems. ESPRAT is certified to carry out ABS classification surveys. The American Bureau of Shipping (ABS) is a ship classification society and is the third largest classification society with a classed fleet of over 10,000 commercial vessels and offshore facilities. We are an approved service supplier for DNV-GL in performing Ultrasonic Thickness Measurements of Ship’s Structure, classed by the Society, in accordance with Approval Programme No. 402A and IACS UR Z17 and are authorized to do measurements on all types and sizes of ships classified by DNV-GL. ESPRAT has also been assessed and approved in accordance to the requirements of Lloyd’s Register Approval for Thickness Measurement of Hull Structure as a service supplier. The thickness measurements may be used by the surveyors or ship-owners representatives when making decisions affecting classification, statutory certification or the operation of the ship. In 2015, ESPRAT were certified by the Bureau Veritas Society to carry out and report on thickness measurements of hull structure of ships classed with the Society, within the scope of the Rules, Part A, Chapter 2. ESPRAT is a full and active member of IRATA (Industrial Rope Access Trade Association) both as an Operator and Trainer. IRATA’s principal aim is to ensure that work carried out by its members using industrial rope access techniques, is done in a safe and high quality manner. This is proven by IRATA’s independently-audited accident reports that demonstrate its training and operational work delivers the safest means of working at height. With ESPRAT you can be certain that we work in strict accordance to IRATA guidelines ensuring that you get the job done efficiently and above all else, safely. 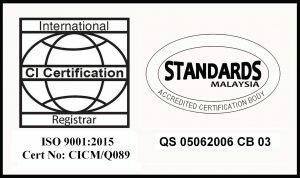 Petronas – Within our Malaysia operation we hold Petronas licensing and multilple SWEC codes as well as CIDB G5 accreditation.